Kentucky’s governor denied his attack on a collaboration between a local newspaper and investigative journalism project ProPublica was anti-Semitic because he singled out Jewish funders of ProPublica. Among the funders Republican Gov. Matt Bevin named are the founders of ProPublica, Herbert and Marion Sandler, who have given over a billion dollars to largely progressive philanthropic causes, and billionaire George Soros, a frequent target of anti-Semitic, right-wing conspiracy theories. 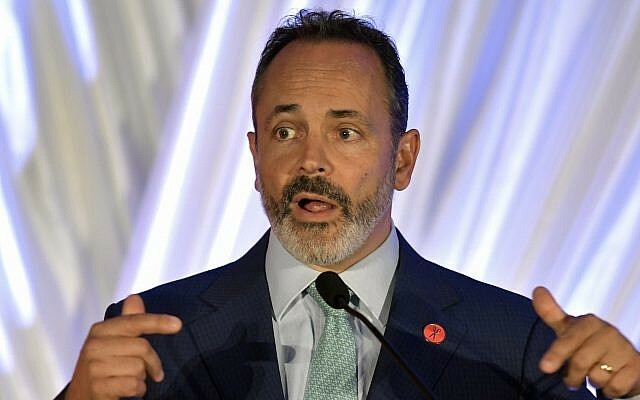 Bevin called him “George (I Hate America) Soros” in a video posted to YouTube on Wednesday blasting the partnership shortly after it was announced. “This is the sad reality of the Courier-Journal, which pretends that it’s an actual news organization or a publication, is so remarkably biased they are now full in bed with this particular organization,” Bevin said in the video. ProPublica, a non-profit, has on multiple times joined with mainstream media outlets in long investigative pieces and won several Pulitzer Prizes. The Courier-Journal is one of seven local papers selected to work with ProPublica to investigate an unspecified state government program. A number of Republicans and conservatives, including President Donald Trump have in recent months intensified attacks on Soros, sometimes in terms that echo anti-Semitic themes of Jewish control.